Did you know that Murali scored 22 runs in 16 balls at a rate of 137.50? 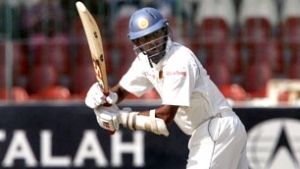 Mind you this was because Sangakkara, Samaraweera and Dilshan had set up a platform over most of two days by scoring 104, 214 and 145 respectively ! So: Sri Lanka built up a first innings total of 604 runs after being sent in …. and perhaps established another record in having two centurions run themselves out in the same innings! Our Murali was tormented in the Boxing Day test match at the MCG by Darrell Hair when he called Murali for “chucking” as shown in the photograph. 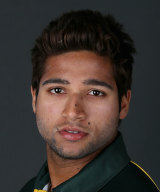 Hair was hailed as the ultimate courageous umpire for his action which stunned the cricketing world. 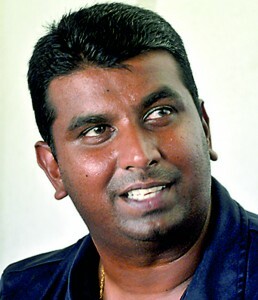 Hair rode high for some years until Murali was finally cleared by the ICC of having an action that was within the fifteen degree limits of bending his arm. 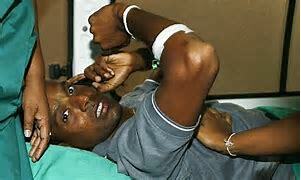 The Sri Lanka Cricket Foundation of Victoria supported Murali through several episodes of this torment. 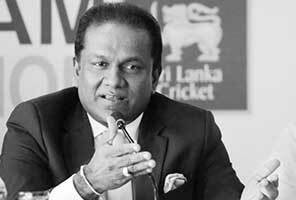 Hemaka Amarasuriya the then President of the Sri Lanka Cricket Board arrived in Australia to lend support to us as we had Murali visit several well-known defamation lawyers in Melbourne and Brisbane. Sri Lanka have succumbed to yet another series defeat this year. Friday’s loss in the second T-20 in Abu Dhabi was a bitter pill to swallow. To point at numbers will be a tedious task so we refrain from doing so, but to put it bluntly, it was Sri Lanka’s 15th defeat in a row in limited overs cricket. There doesn’t seem to be a way out of the mess. And the World Cup is less than two years away. Our administrators keep giving us the assurance that everything will be tickety-boo by the time the injured trio of Angelo Mathews, Asela Gunaratne and Kusal Perera return. But the reality is far from that. Here’s why. Thousands of joyous cricket-starved Pakistan fans turned up at the Gaddafi Stadium on Sunday to welcome back the Sri Lanka team on its first visit to the country since it was ambushed by gunmen in a deadly attack in 2009. The stadium was filled to its 25,000 capacity with fans carrying placards reading “Welcome back Sri Lankan Lions” amid stringent security measures put in place for the third and final Twenty20 international between the teams. 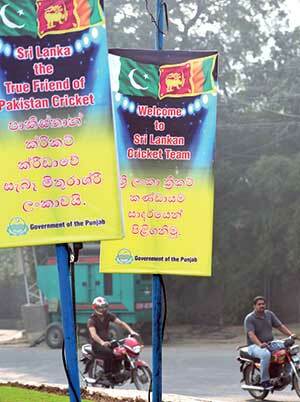 When Thisara Perera lands in Lahore, he will be stunned at the hospitality awaiting him. He is a star here. His billboards are all over Lahore. Posters of his players also are seen all over the road with Punjab Government in Lahore set to put up a great show as the Sri Lankan cricket team brings international cricket back to the country. Read the rest of this entry ? The Pakistan cricket team is counting on a change in format and players to overcome a resurgent Sri Lanka in the five-match one-day series starting in Dubai from Friday. The green shirts were upset 2-0 in the preceding Test series but they are now hoping to change their fortunes and carry the limited over form which helped them win the eight-nation Champions Trophy held in England in June this year. Imam ul Haq Read the rest of this entry ? Dimuth Karunaratne being awarded the Man of the Match and Man of the Series in the recently concluded Test series against Pakistan (in Abu Dhabi and Dubai) has not surprised his mentor, Harsha De Silva. Incidentally, the Australia-based Harsha De Silva did give some useful tips to the Sri Lankan opener Dimuth before the commencement of the series. You are currently browsing the Critiquing Cricket blog archives for October, 2017.